The West Sacramento Friends of the Library Book Alcove can be found on the left-hand side of the Arthur F. Turner Community Library across from the community room. Gently used books, magazines, and other media are available for purchase. 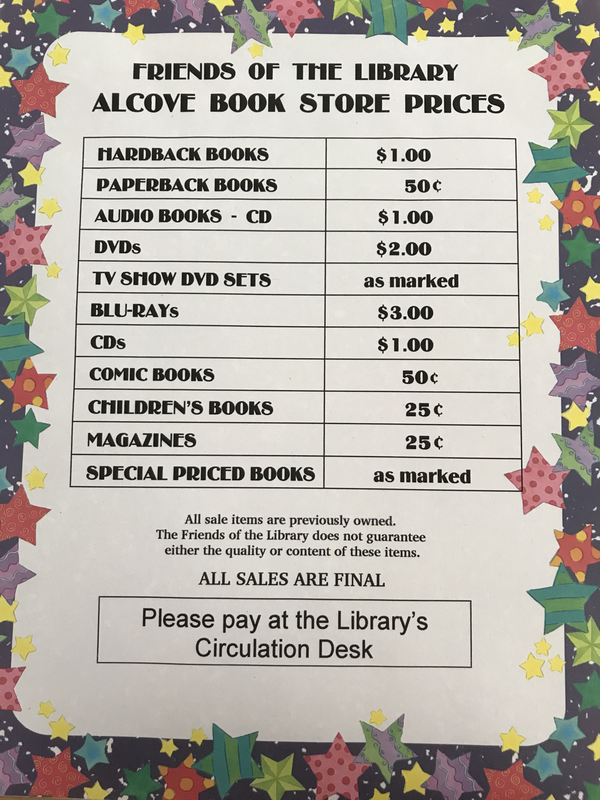 All Book Alcove proceeds go to the West Sacramento Friends of the Library and support the Arthur F. Turner Community Library's programs and services. The West Sacramento Friends of the Library gratefully accepts donations of books, magazines, and other media in good condition. Donations can be made at the library during library hours or outside the library at any time in our WSFOL donation bin.